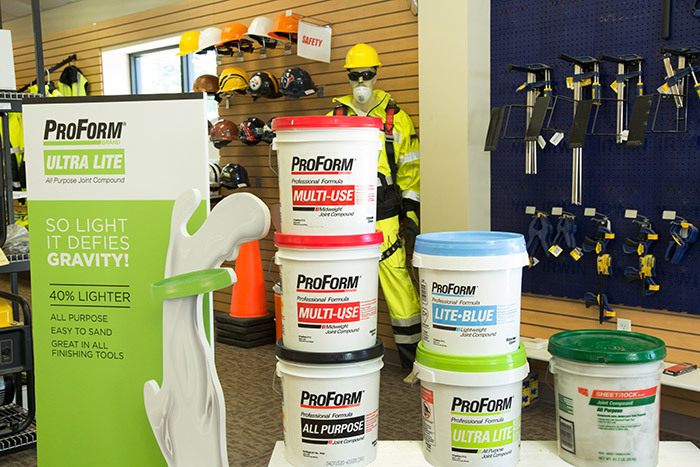 We sell both dry and ready-mix joint treatment from only the best drywall manufacturers – companies like National Gypsum, Southern Wall Products and USG. Our selection of products helps you create a professional finish for your project each and every time, whether you want a smooth seam or a textured look. Let us help you make sense of your drywall paste options. Not sure which product is right for your job? 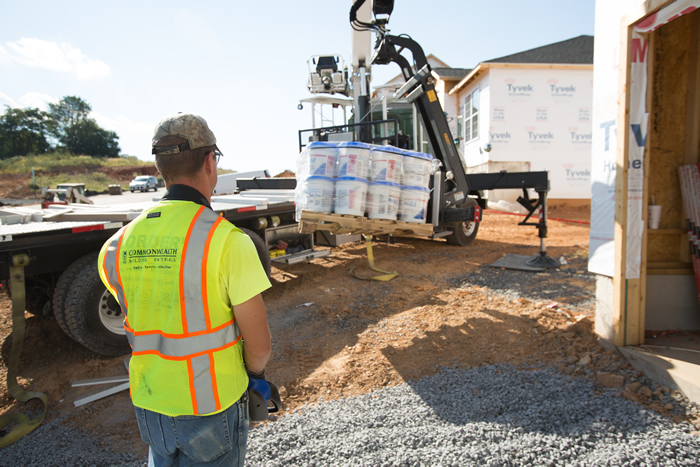 Talk to the knowledgeable professionals at one of our six yard locations across Virginia to help find the exact drywall mudding for your building. Whether you need to fill joints, embed paper tape or even skim coat a ceiling, we can help you select the perfect mud or compound to get the finish you need in a variety of rooms and locations. Call us or stop in today to place your order! 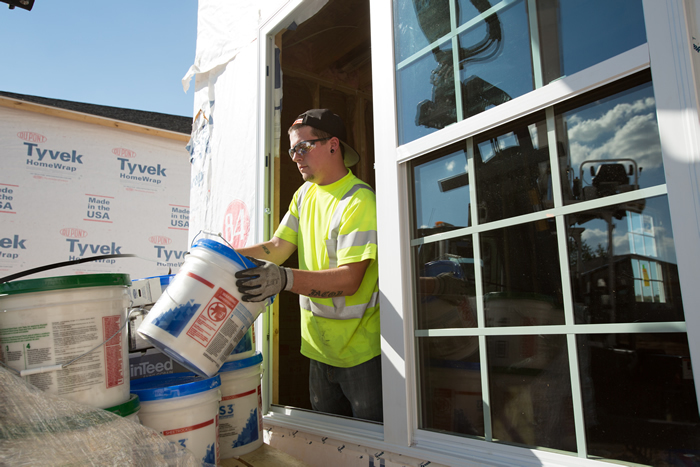 Commonwealth Building Materials maintains a large in-stock supply of drywall finishing products at all of our yards so that we have immediate availability for our customers. We pride ourselves on our superior customer service and our on-time delivery for any products you order from us. In fact, we can even place your order exactly where you need it on your jobsite. For customers wishing to pick up their drywall paste themselves, we also offer call-ahead service and loading assistance at the yard so that you can pick up your order at your convenience.